I’ve always wondered what kind of athletic training the cadets at Starfleet have to undergo. We’ve never really seen that in the shows and movies. I guess part of their routine must be Yoga, judging by these Starfleet Academy Capri Yoga Pants. You would think they would run some marathons, lift weights and go through some sort of Army training. Maybe they do that on the Holodeck. Then again, starting with TNG, we did get a kinder gentler Star Trek, so I guess yoga makes sense. 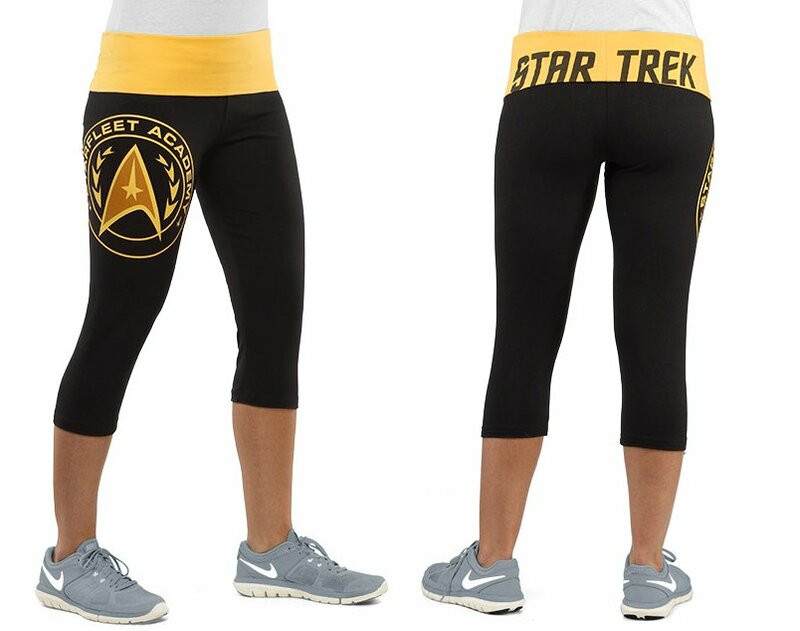 These capri-length yoga pants feature the Starfleet Academy design in gold with a gold foldover waist. They look awesome, and are sure to impress everyone in your 23rd-century yoga class. They are only $39.99(USD) from ThinkGeek.